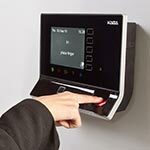 Metroline Security provide access control solutions to control who is permitted to enter and exit your premises. 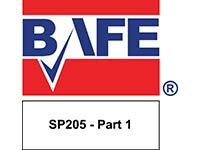 Typically these will involve Paxton’s excellent Net2 product, although we also work with Honeywell’s WIN-PAK product, BPT, and SALTO. 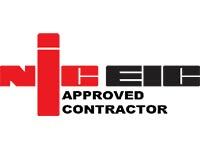 As a result of our experience across various solutions, you can be assured that, for new systems, we will propose the most appropriate system for your operational and budgetary constraints. 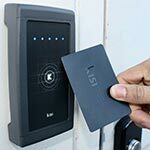 Access control systems offer a variety of solutions to allow the free flow of authorised personnel through secured premises while denying entry to unauthorised persons. Obviously being able to control who enter a building through either main access and egress routes is essential, however this is a very small part of the huge potential offered by access control systems offer. 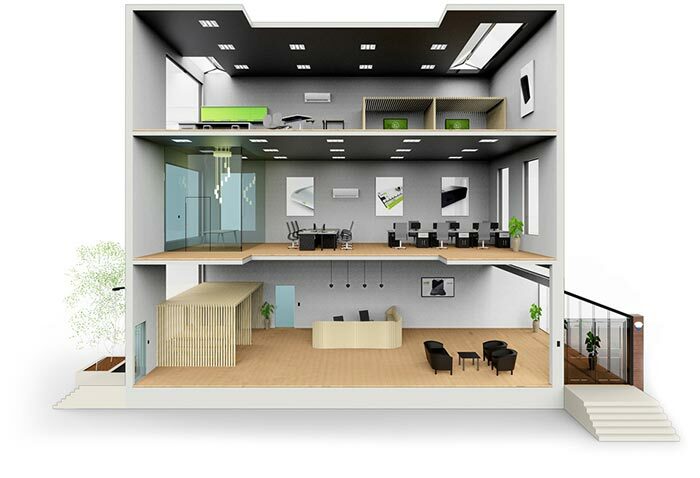 For example, any prohibited areas such as a Director’s office, stock room or IT server room may require increased security, in addition to protecting staff from unwanted visitors. However, more sophisticated systems are now commonplace which allow access control systems to integrate seamlessly into time and attendance systems, or even into on-site vending machines and cafeterias! 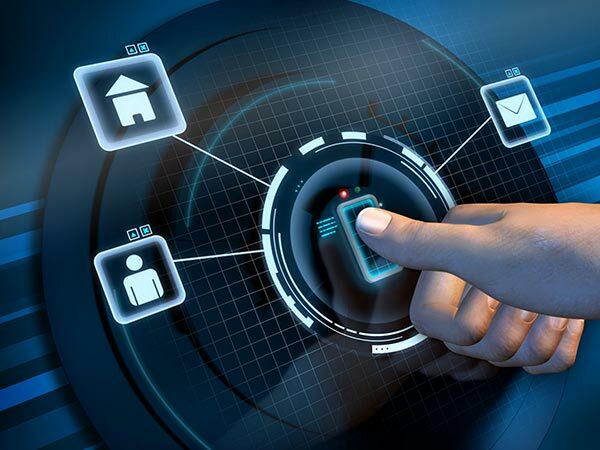 Access Control solutions can be either standalone or PC-based, the latter giving you centralised administration and real-time control of your security function. Metroline Security have extensive experience at installing and maintaining Paxton access control solutions. We have installed Paxton Net2 into many sites throughout Kent and South East England, whether for multi-site organisations with centralised control, single buildings with dozens of doors, or less complex requirements. 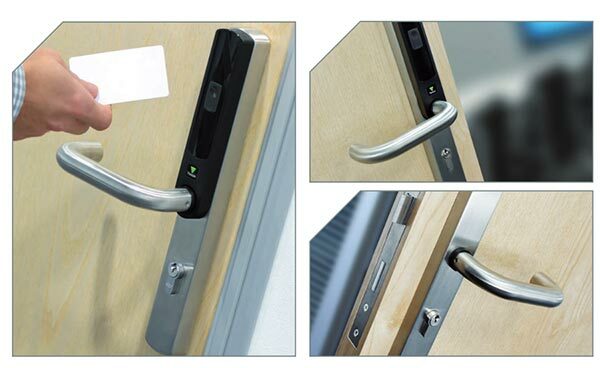 As well as standalone access control for single door applications, we install PC-based networked systems to control multiple doors (across multiple sites if required). 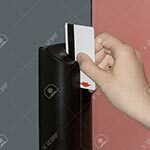 In this way, access can be granted by numeric code, proximity card/fob, hands-free tokens, or biometrics. A key benefit of Paxton’s Net2 solution is that tokens or users can be barred instantly, or access to specific doors can be amended as required. Furthermore, different access rights can be created for different groups or departments, making the Net2 system easy to manage and control access throughout the building. As well as strong reporting, roll call and time and attendance benefits, Paxton access control also integrates into fire systems, security, or even lighting, heating and power to seamlessly manage your building and save money on energy usage. Paxton10 is based on powerful technology and has been designed to be automatically field upgradeable as additional functionality is added over time. The architecture of the system has been designed with simplicity at its core. A typical system is a keypad access control system used in conjunction with a regular lock and key. This generally has a numeric terminal or keypad connected to the lock release mechanism through a control unit. More commonly referred to as Swipe Cards, these systems allow entry and exit once a card comes into contact with a card reader. 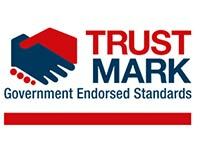 Used predominantly in the hotel industry. 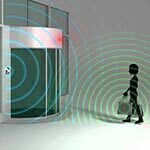 Proximity systems are a more effective method of enabling access control as there are contactless. 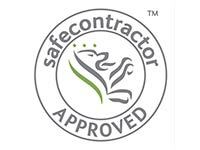 This means that the card itself does not have to come into physical contact with the reader, reducing wear and tear as well as speeding up the process. Smartcards and readers have the advantage of being able to store additional information which can be used for other services, such as school library membership, cashless vending, or storing other individual data. The most sophisticated types of reader permit entry only if the authorised user’s unique human characteristics are recognised. This raises the security level significantly. Using active cards which transmit a signal, you can automatically unlock or open a door when the receiver detects the card. This makes it ideal in respect of the Disability Discrimination ACT (DDA), as no action is required by the card bearer. 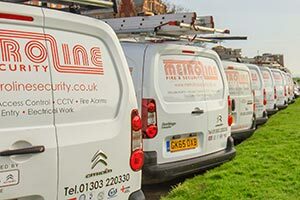 Contact Metroline Fire & Security today to find out the benefits of a maintenance contracts for all your access devices. Check cables for wear and tear. Ensure that cables are dressed properly. Ensure no loose wiring at connectors and cable entry points. 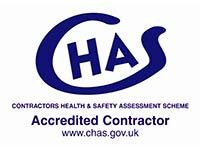 Check all glands, seals and connectors on external equipment. 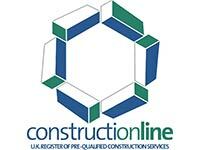 Ensure that system provides adequate protection (i.e. PIN numbers changed, obsolete users deactivated, etc.). Check door magnets and closers and adjust if necessary. 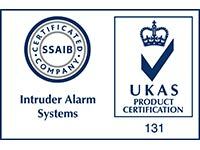 Check integration with other systems and triggering of fire alarm. 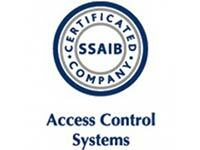 Ensure that premises are appropriately protected and existing door access controls are sufficient. 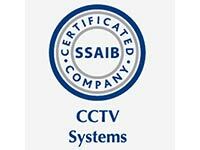 Whatever type of system you require, whether you need a consultation and advice on access control at the design stage, or effective solutions to an existing security problem, we will put our expertise at your disposal to ensure that you get the right system for your requirements and budgetary constraints.